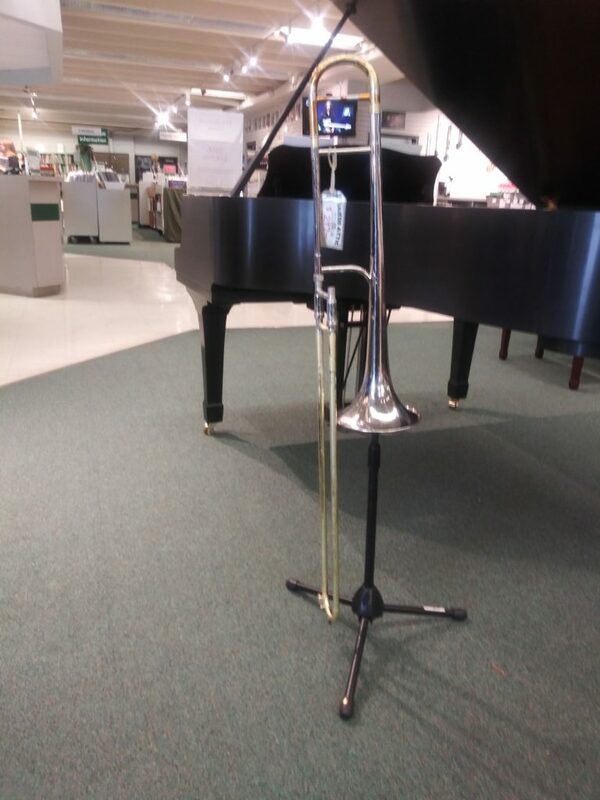 This intermediate trombone from the late sixties has a nickel-silver bell. 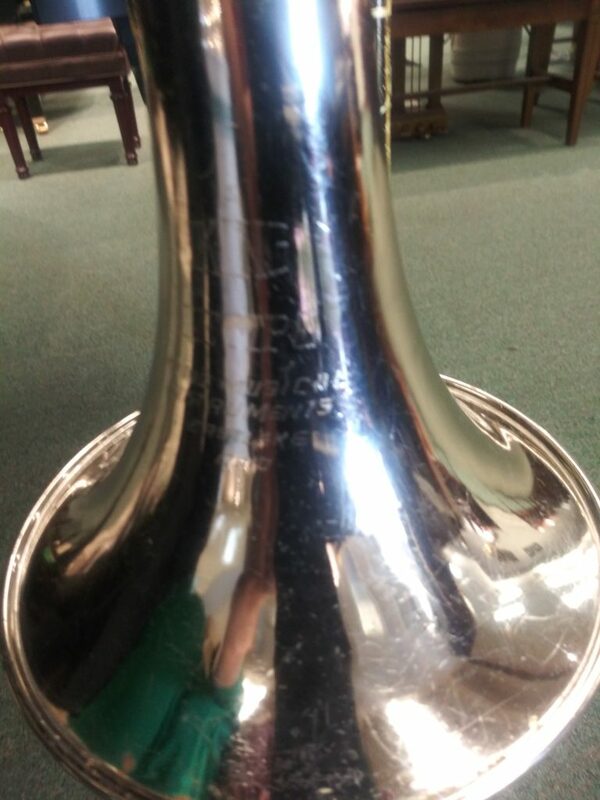 It has been chemically cleaned so the bright raw brass will eventually return to a dark brass patina. The slide is in great shape. 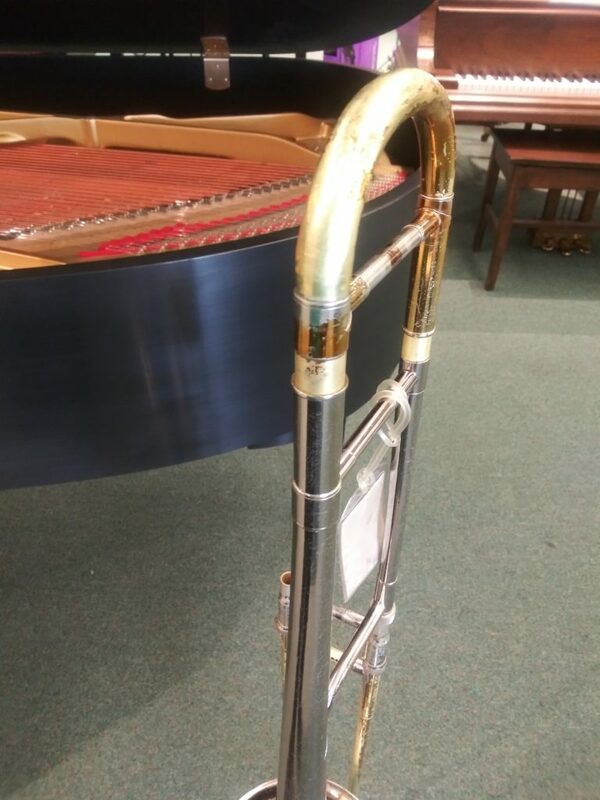 It should make a nice small bore lead jazz or combo horn.